Kiwi pacer Adam Milne pulled out of the 12th edition of IPL due to a swollen heel. 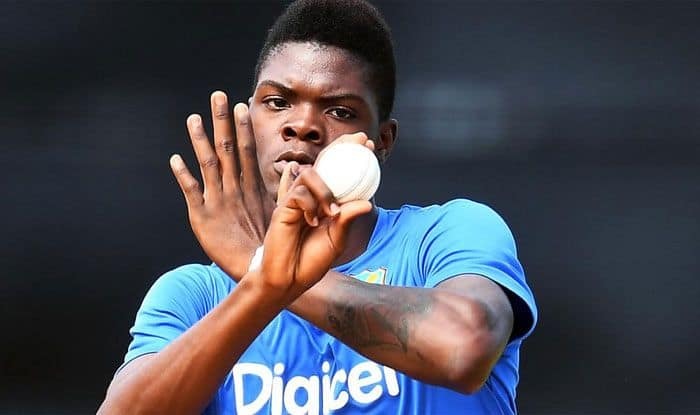 Mumbai Indians have picked Alzarri Joseph as a replacement for the injured New Zealand fast bowler Adam Milne for the Indian Premier League (IPL) 2019. Joseph featured in nine Test matches and 16 ODI’s for the West Indies so far. The pacer has taken 25 wickets in Tests and 24 wickets in ODI’s. He made is debut in both the formats in 2016. Joseph will now make his first appearance in the IPL. As per the tournament’s rules the replacement player cannot exceed the amount that was being paid to the original player. So the price at which Joseph was acquired by the team cannot be more than 75 lakhs as Milne was signed by Mumbai Indians at the IPL auction for this amount. Earlier, Adam Milne pulled out of the IPL due to a swollen heel. Mumbai Indians lost their opening match against Delhi Capitals by 37 runs on Sunday. The team will next take on Royal Challengers Bangalore on Thursday, March 28 at M Chinnaswamy Stadium in Bengaluru.